Have you ever burned out, or do you know someone who has? It’s easy to do with the stress and time it takes to repair broken appliances, raise a family, answer e-mails, cook, clean, care for sick family members, be loving and kind, work hard, and do whatever else is expected of us. 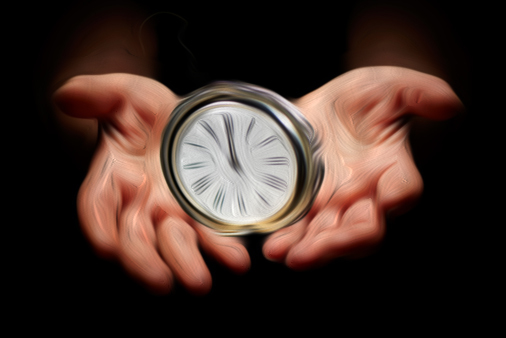 How do we manage time when everything takes so much of it? By abiding in the Sovereign One who holds our times in His hand. Psalm 31:15. After all, I can’t save these people He called me to. Only He can. And I can’t meet every need and expectation others have for me. But I can love and obey the One Who first loved me, and let His Spirit lead me to accomplish the things of His heart in His time and in His way. 1 John 4:7-19, Galatians 1:10, 5:22-25, Isaiah 60:22. Burnout happens when I do more than God asks me to, or when I do it in my own strength. But rest and peace are mine when I let God be my Time Manager. He lightens my load by showing me the things He has called me to during this season and the things He has not. He empowers me to do what I could never do on my own. And when I seek Him and obey Him, He transforms every moment into a God-moment, where a broken appliance becomes a way for a repairman to hear the Gospel, and an interruption becomes a chance to love. John 5:19, Proverbs 3:5-8, Philip-pians 4:13, Isaiah 30:15, 40:27-31, Matthew 11:28, Luke 1:37. As I look for what God is doing and step into His paths empowered by His Spirit, either the things I had to set aside in order to obey Him miraculously get done, or He wasn’t doing those things in the first place. After all, Jesus calls us to love God and love others above every other command. Matthew 22:37-40. If accomplishing a goal makes me set aside my quiet times, mistreat my family, or run over those in my path, then what am I doing? If I’m not loving God and others, I’ve missed the mark. My agendas must be God’s agendas, my paths His, my every decision handed over to Him, my times in His wise, loving hands. Only then will I be free to enjoy all He has planned for me. Proverbs 3:5-7, Psalm 119:32. He already knows how many hours are in a day. He won’t ask me to do more than I am able. Unless, of course, He is stretching me to surrender to His Lordship, so at last I will bow at His feet and admit, “I can’t do this on my own. This is Your work only You can do, and I am Yours. Make me one with You and show me Your ways so I can walk in them.” Ephesians 5:15-17.